Chancellor Angela Merkel signaled that Germany will suspend exports of military equipment to Saudi Arabia pending investigations into the death of government critic Jamal Khashoggi. 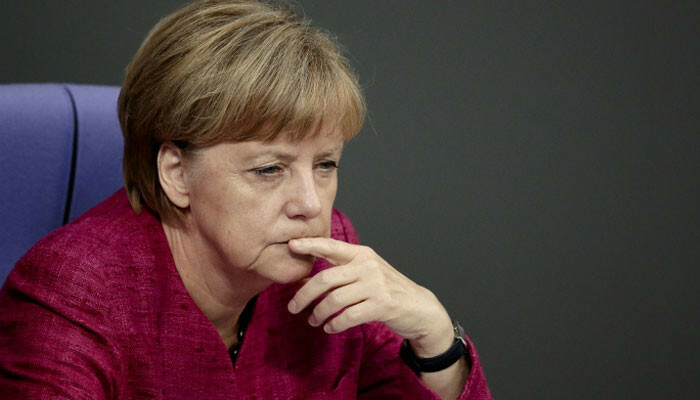 “As far as weapons exports, which are already limited, are concerned, they cannot take place in the same fashion as they are now,” Merkel said in Berlin Sunday after a meeting of her Christian Democratic Union party’s executive. Her comments build on an earlier response to Saudi Arabia’s account that the journalist was killed during an altercation at the kingdom’s consulate in Istanbul. The events “still haven’t been cleared up and of course we demand that they be cleared up,” she said Saturday. Germany is adding to the pressure on Saudi Arabia over the death of Khashoggi, a journalist. Her comments reflect a collective shock in Europe and elsewhere at the as-yet unexplained events in the Saudi consulate in Istanbul that could fundamentally effect ties with the kingdom.